Discover the right solution for your situation. We offer different safety solutions, ranging from systems that offer maximum usability to simple systems that cover all the bases, but require a little more user know-how. 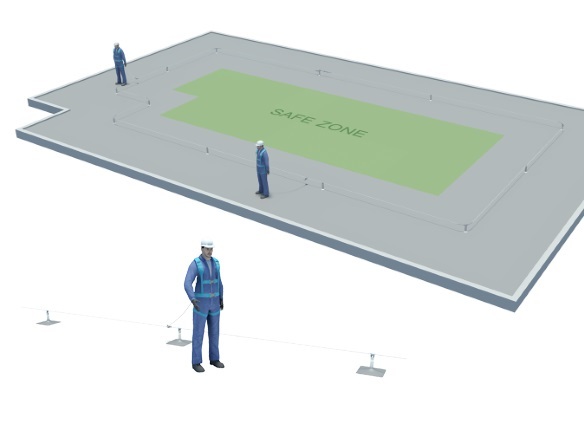 We believe that the choice for the right fall protection solution should be simple. The right solution for your project depends on the desired risk reduction and freedom of movement, the number of users and the level of user knowledge. We have outlined 5 different types of systems on this page. 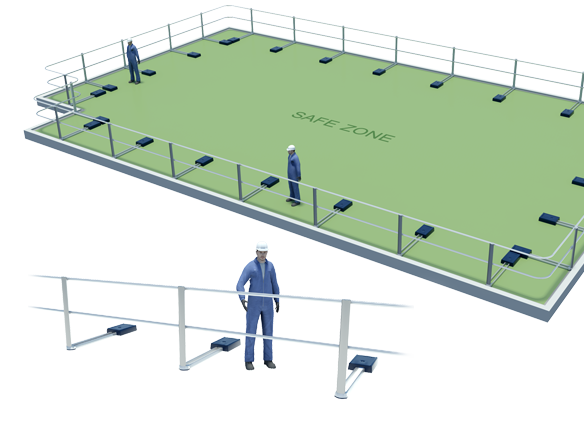 For a solution that doesn’t require much knowledge about safe work at height, fall protection with guardrails is the easiest option. This way, the entire roof can be turned into a safe zone. 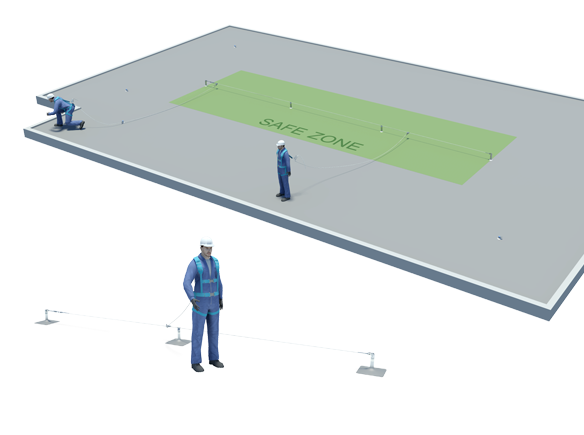 With guardrails, an unlimited number of users can safely access the roof, without having to wear Personal Protective Equipment (PPE). Suitable for any type of flat roof. Can be used by an unlimited number of users. Wearing Personal Protective Equipment (PPE) is not necessary. Free-standing or fastened to the roof. Entire roof becomes a safe zone. Discover more about our guardrails. Select the information/brochure you want to receive. We will email the information you requested. This solution is suitable for virtually any type of roof and offers great freedom of movement. It consists of a series of anchor points, connected by one or more steel cables. A horizontal lifeline system is built up along the edges of the roof, so the distance between the lifeline and the roof edge is always the same. Suitable for virtually any type of flat roof. Lifeline anchors can be no more than 8 m (26 ft) apart. 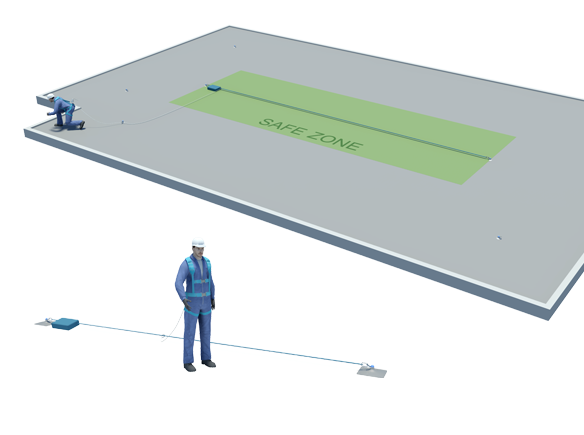 Discover more about our horizontal lifeline systems. *Only with LinkedPro. 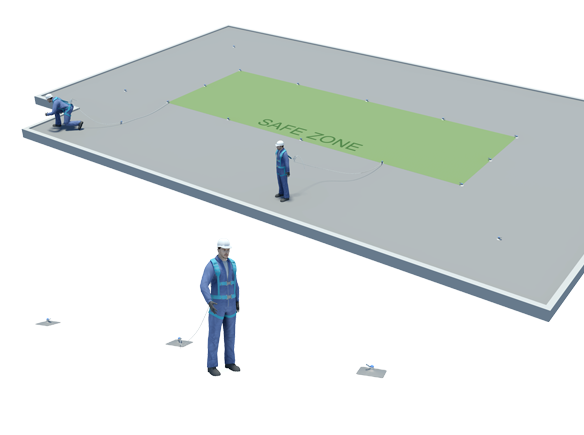 The LinkedPro solution consists of two or even three lifelines per anchor point. This solution consists of a horizontal lifeline in the middle of the roof and anti-pendulum anchors at the corners. This results in a smaller safe zone, requires more user knowledge and offers less freedom of movement. The distance from the lifeline to the roof edge is always the same. Suitable for virtually any type of flat roof, up to 16 m (52 ft) wide. Length of the lanyard needs to be adjusted. Discover more about our horizontal lifeline systems and single anchor points. This solution is a combination of single anchor points, which are no more than 6 meters apart, and anti-pendulum anchors at the corners. This means limited freedom of movement and requires extensive user knowledge. Using this system is time-consuming and prone to human error. Certain areas of the roof cannot be reached. Anchor points can be no more than 6 m (20 ft) apart. Discover more about our anchor points. This solution is a combination of single anchor points in the middle of the roof (no more than 18,5 meters apart), and anti-pendulum anchors at the corners. A temporary lifeline is used to create extra freedom of movement. Installation of the temporary lifeline requires significant user knowledge. Lifeline anchor can be no more than 18,5 m (60 ft) apart. Discover more about our temporary lifelines and single anchor points. 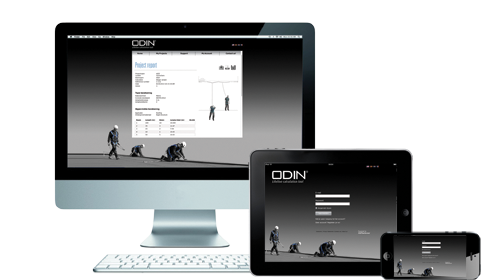 ODIN is our lifeline calculation tool that is used to test a specific lifeline configuration with the solutions manufactured by XSPlatforms. Our Partners will always include an ODIN report of the lifeline solution offered, to ensure safety at all times. Confirms compliance to the applicable standards. Provably demonstrates adequate system performance. Discover more about our ODIN.